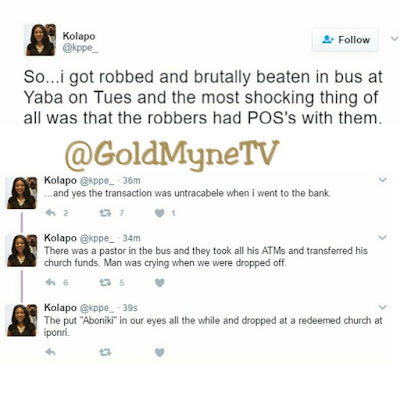 Twitter user claims Robbers in Lagos now go about with a P. O. S machine which makes it easy for them to rob victims who have no cash. 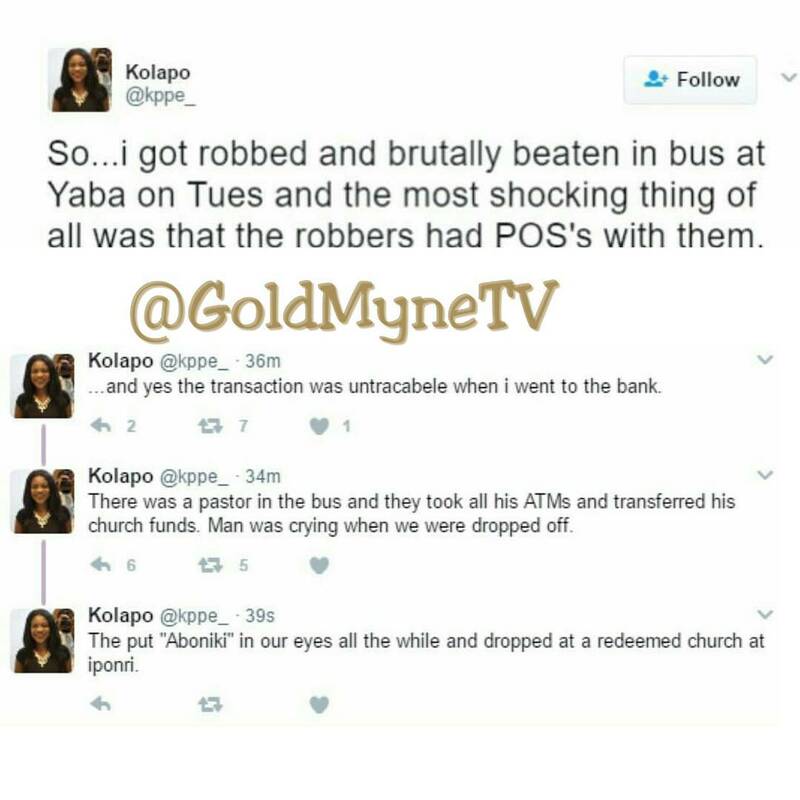 She recounts how she was robbed in a bus with the POS.